Satisfaction Is... Savings for being a Student! Satisfaction Is… Savings for being a Student! 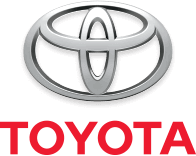 Moose Jaw Toyota | Satisfaction Is… Savings for being a Student! Students—this one’s for you! You’re done writing finals, and it’s time to celebrate. This May, we’re offering students $1,000 off on any new vehicle. To get your offer, simply provide proof of enrollment in post-secondary or graduate studies. Also, our Red Tag Days event is on for a limited time. Save more—from spring to summer! Lease or finance from 0% on select inventory. *On select in-stock inventory. See dealer for details. Valid until May 31st, 2019.